Support Alpha Gam's philanthropic cause of fighting hunger! 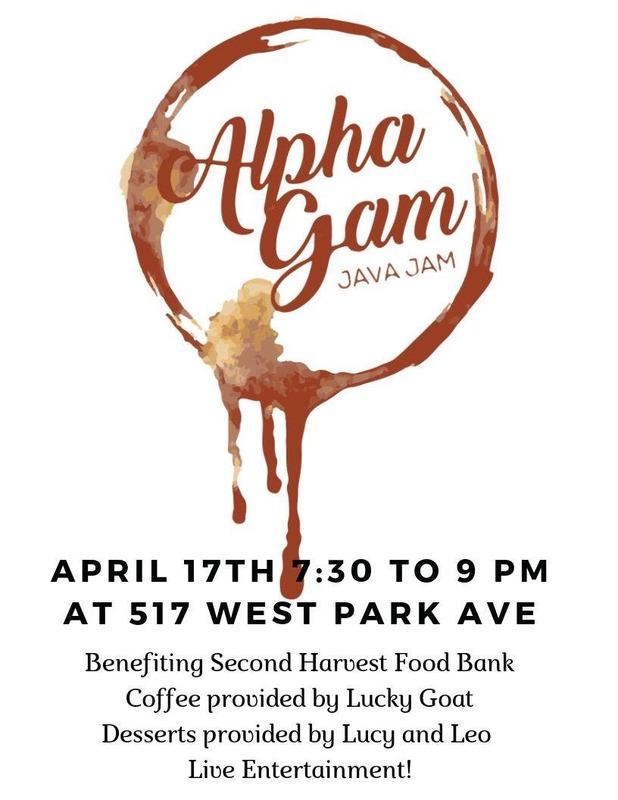 Join the sisters of Alpha Gam at our 1st annual philanthropy event, Java Jam, for Lucky Goat Coffee, desserts, and live entertainment from the local Tallahassee area! Bring in canned donations for a chance to win $300 towards your organization's philanthropy! Contact any sister for $5 presale tickets and $7 at the door. All proceeds benefit Second Harvest of the Big Bend! If you can't be there, here's our link to donate for a great cause!